A new, illustrated picture book with an invaluable lesson for children. 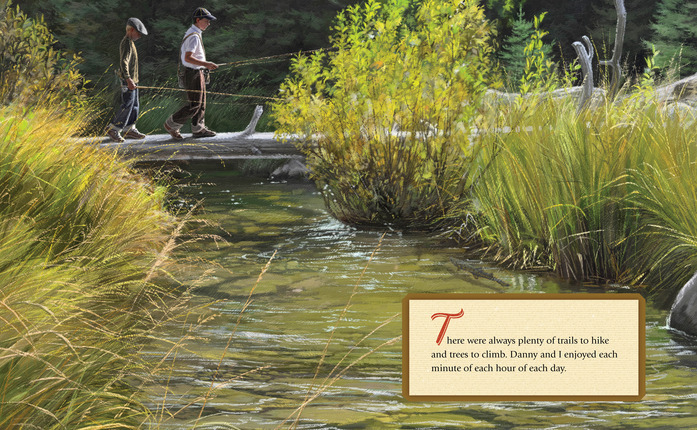 In his April 2013 general conference address, President Thomas S. Monson told the story about his time as a young boy spending the summer at his family's cabin in Vivian Park. He and his best friend, Danny, decided to clear a field so they could gather with their friends and have a campfire. The tall, stubborn weeds would not pull out easily. So Tommy had the idea of using one little match to burn the weeds. He knew he should not use matches without permission from his parents. But he ignored the prompting warning him of the danger and set the parched June grass ablaze. The consequence of his disobedience nearly endangered the entire forest and almost burned down neighboring cabins. Soon all the men and women at Vivian Park were dashing back and forth with wet burlap bags, beating at the flames in an attempt to extinguish them. After several hours, the last remaining embers were finally smothered. Danny and I were exhausted and humbled. We felt terrible about what had happened. If only I had acted differently in that one little second and never picked up even one little match. I learned several difficult but important lessons that day. Perhaps the biggest lesson was the need for obedience. Rules and laws are created to keep us safe. When we obey those rules, we can avoid the dangers that can come from something as small as one little match. I read this book aloud to my children last night, only to find out they had already picked it off my bookshelf and read it on their own…drawn by the idea of a match no doubt! They quickly learned why playing with matches is a bad idea and that even a Prophet of the Lord was drawn to play with matches as a little boy. But more importantly they caught the message to listen to the warnings, the whisperings in your heart that try to stop us from making a choice with grave consequences. 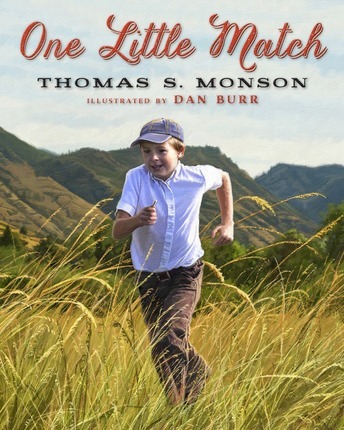 Filled with beautiful, vivid and life like illustrations, One Little Match has a great moral message and a happy ending. Dan Burr crafted some beautiful masterpieces, escpeially with the faces on little Tommy and his friend Dan! Short, sweet, to the point…this a great family lesson tool.